The Real Estate market is constantly changing, often making it difficult to assess the current value of your home, condo, or acreage. As trained real estate professionals, we have the knowledge and tools to determine your property value. What is your property worth in today's Real Estate market in your area? 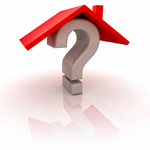 Is it a Buyer's Market or a Seller's Market? Let us help! By using a "Comparative Market Analysis", we can assess what your property is valued at in our Real Estate Market today. To receive more information about our Market Evaluations and/or how we Market your home when selling, call Elke & Michelle, or email us today.